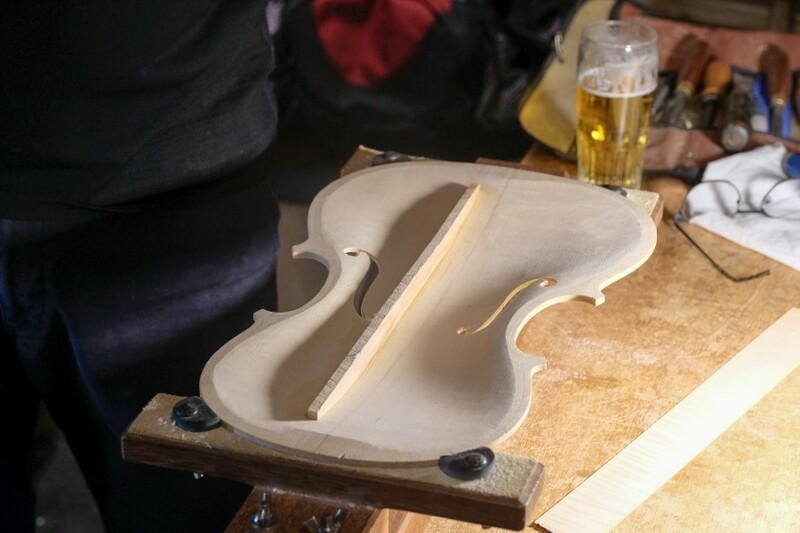 Build a viola in only 4 days - live in front of an audience! 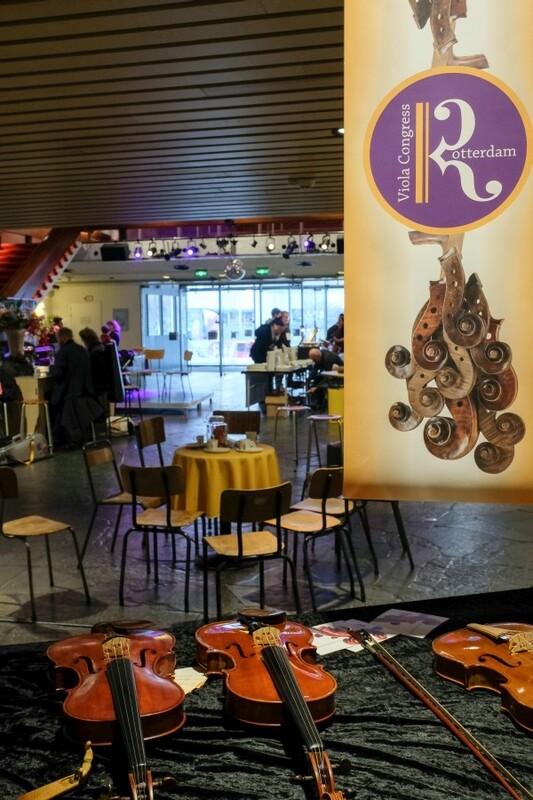 From 20 to 24 November 2018 the International Viola Congress (IVC) will take place in Rotterdam, Holland. 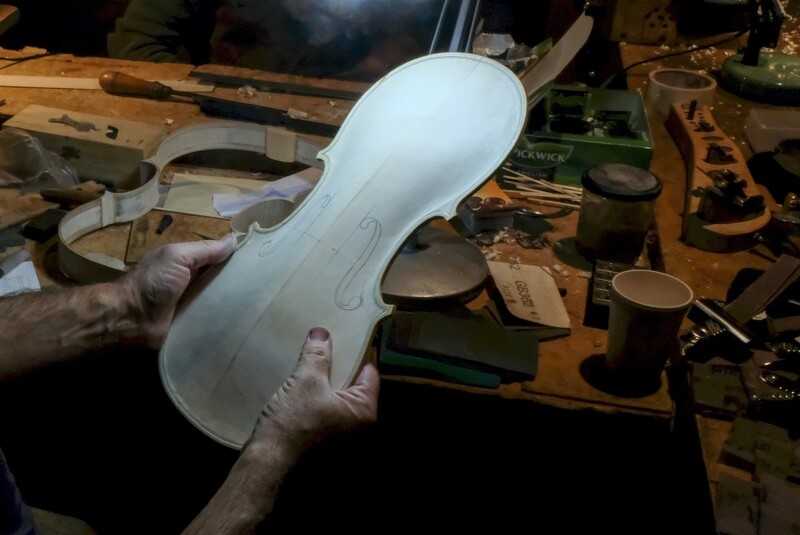 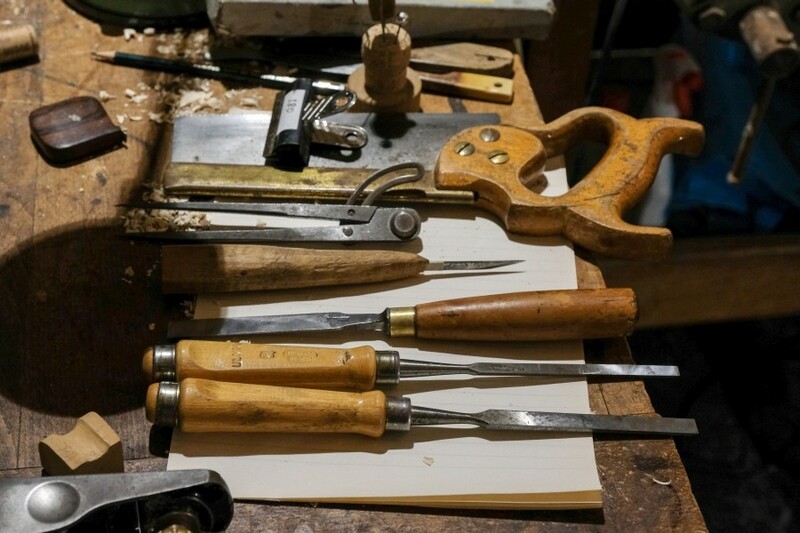 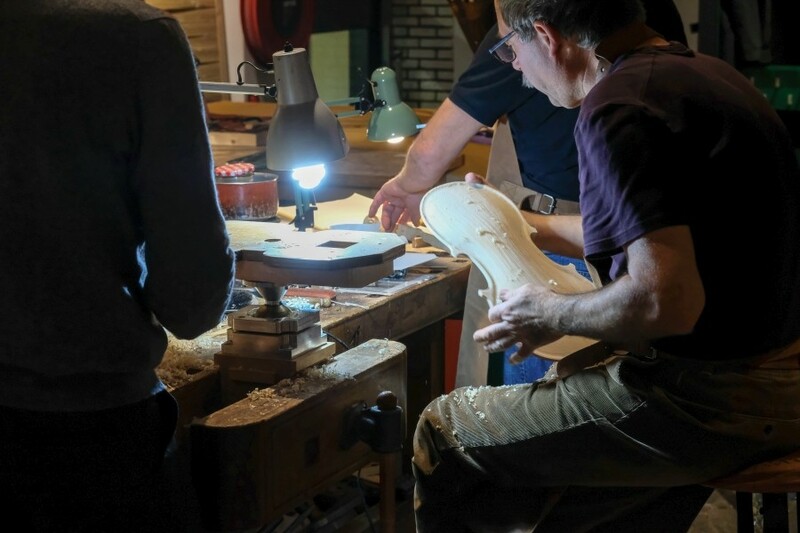 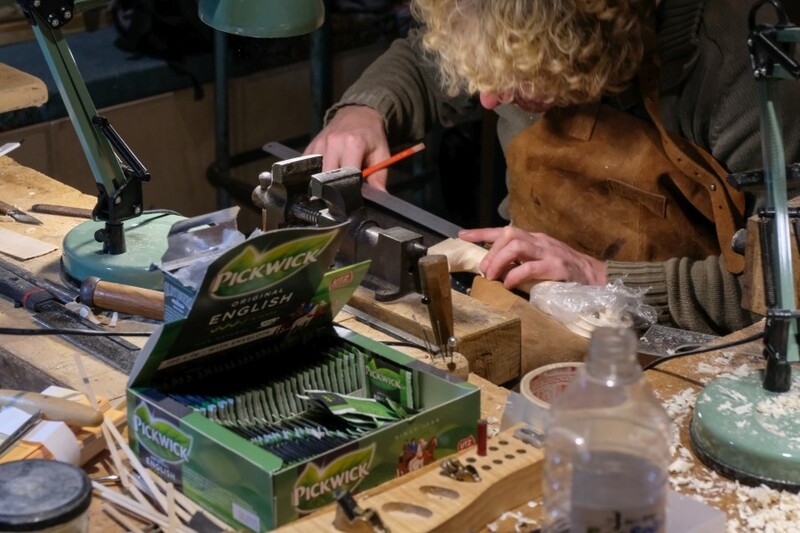 During these four days four string instrument makers will build a viola together. 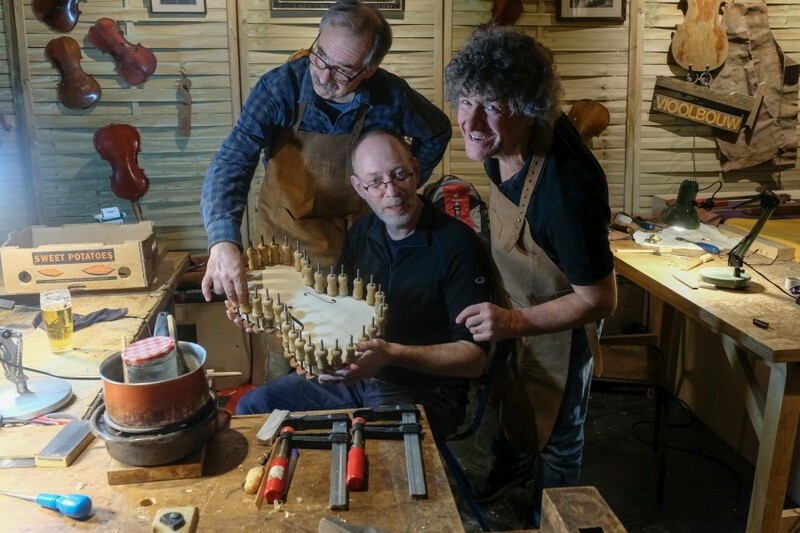 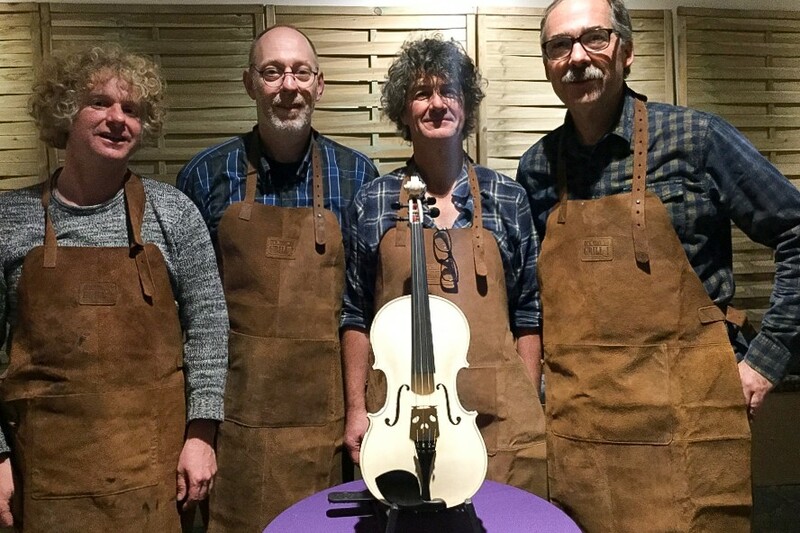 The four school friends have known each other since their joint studies at the renowned violin making school "Newark School of Violin" and are today independent, experienced and successful string instrument makers. 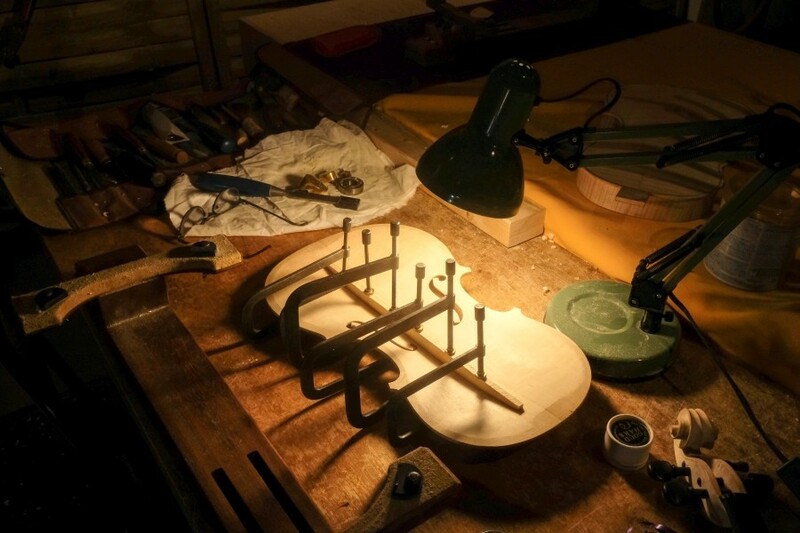 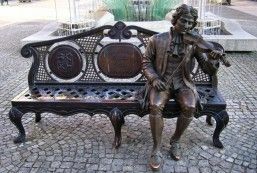 They have decided to build a viola together and live in front of an audience at the IVC, where a concert will take place with this viola at the end of the conference on Saturday, 24 November. 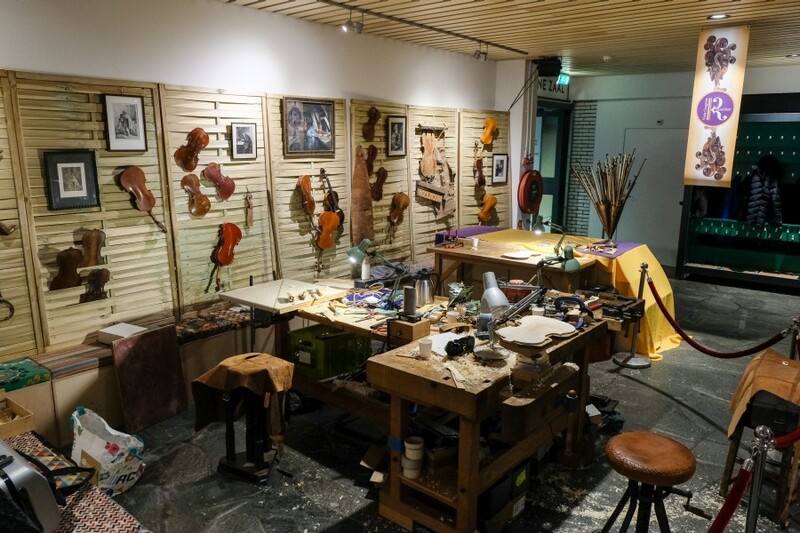 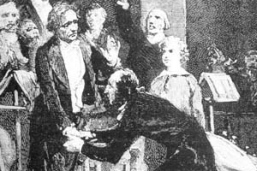 The four have set up a workshop in the entrance hall of the Hofpleintheater. 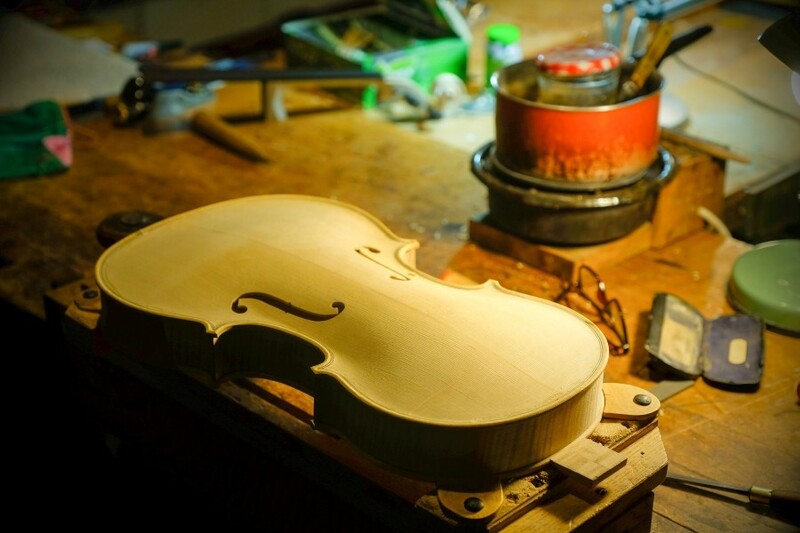 Music4Viola is on site and reports every day in pictures on the progress of this demanding work. 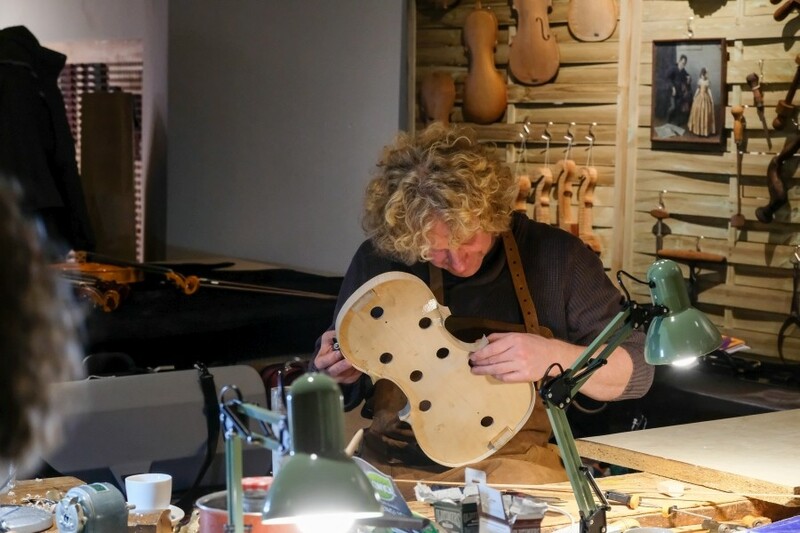 The live viola builders are Chaim Achttienribbe from Amsterdam (NL), Kai-Thomas Roth from Somerset (UK), Jan van der Elst from Dordrecht (NL) and Gijsbert van Ziel from Rotterdam (NL). 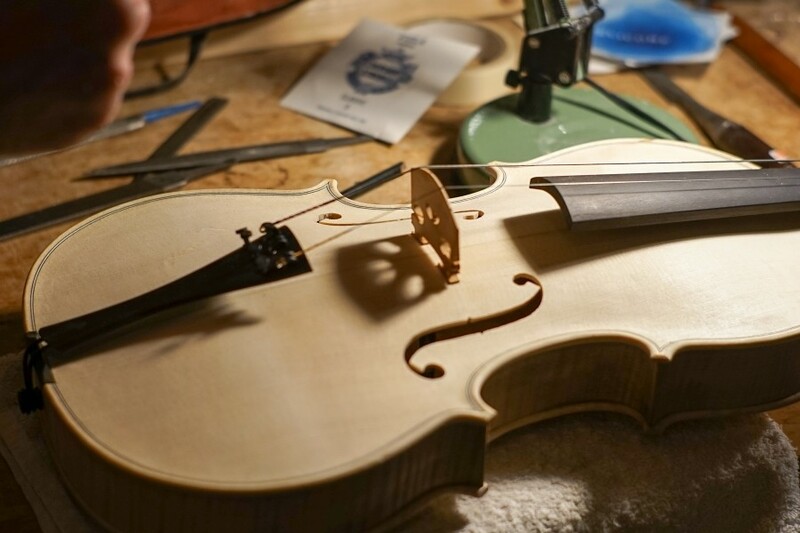 The model is a viola by Andrea Guarneri (1626-1698) from the year 1676. 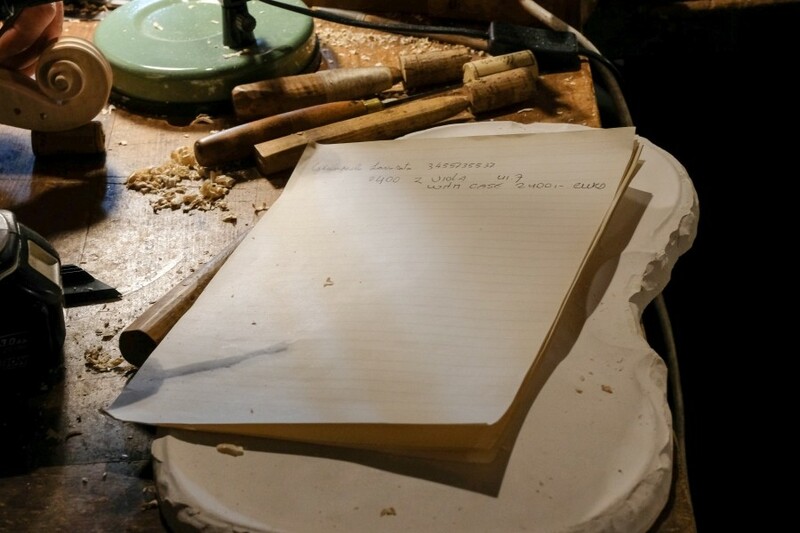 This is a delicate mission. 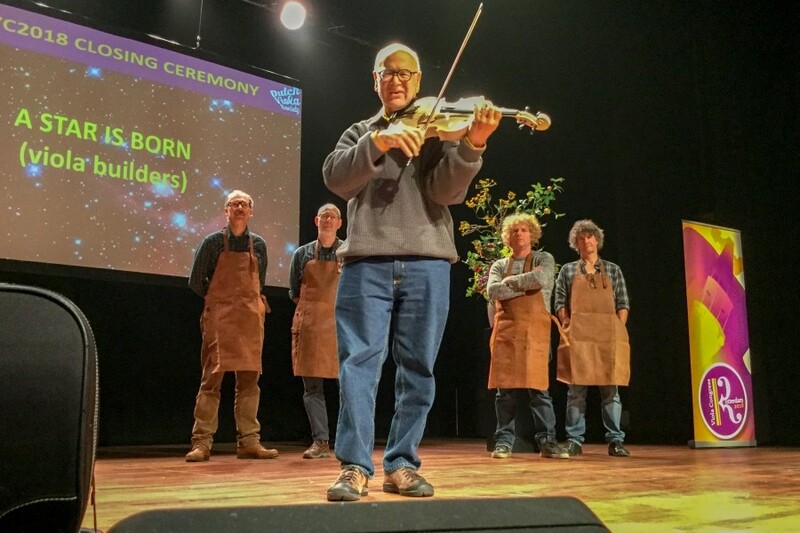 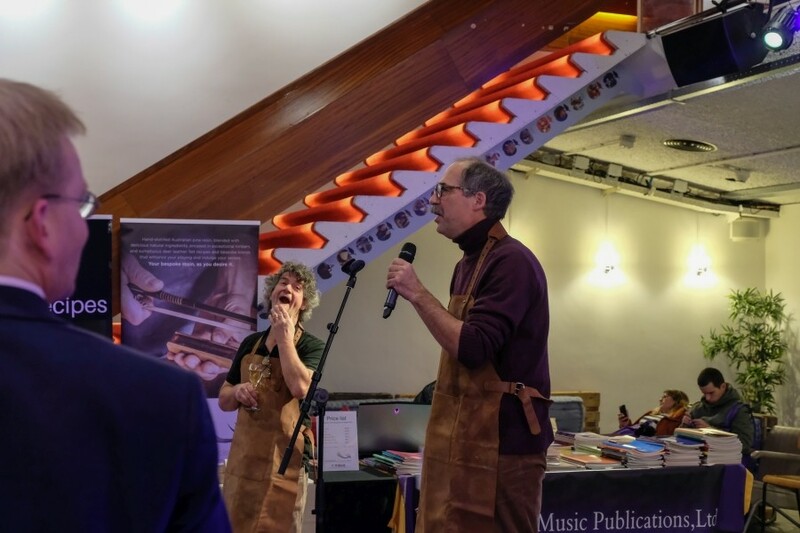 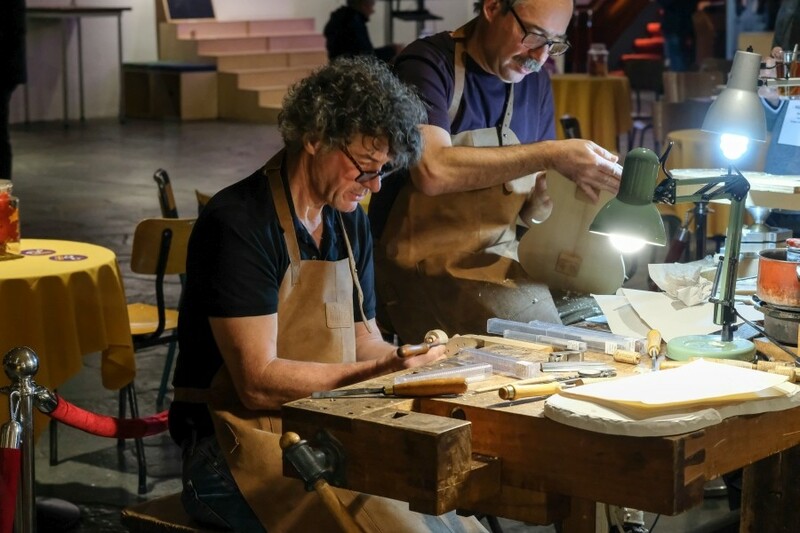 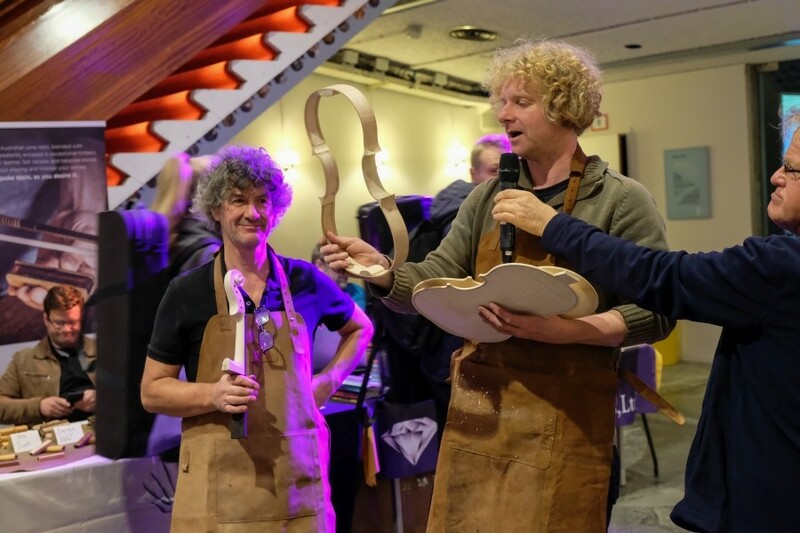 The four violinmakers presented the viola they made during IVC2018 in Rotterdam for a big audience on the main stage of the Hofplein Theater. 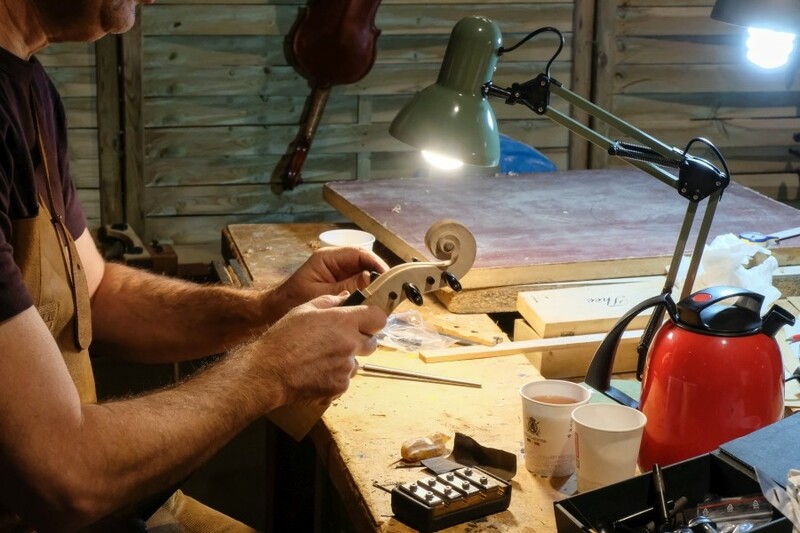 Both Kim Kashkashian and Atar Arad played the lily white new born viola and the violinmakers of IVC2018 were impressed by the stimulating support they received by the two world class players Kim Kashkashian and Atar Arad. 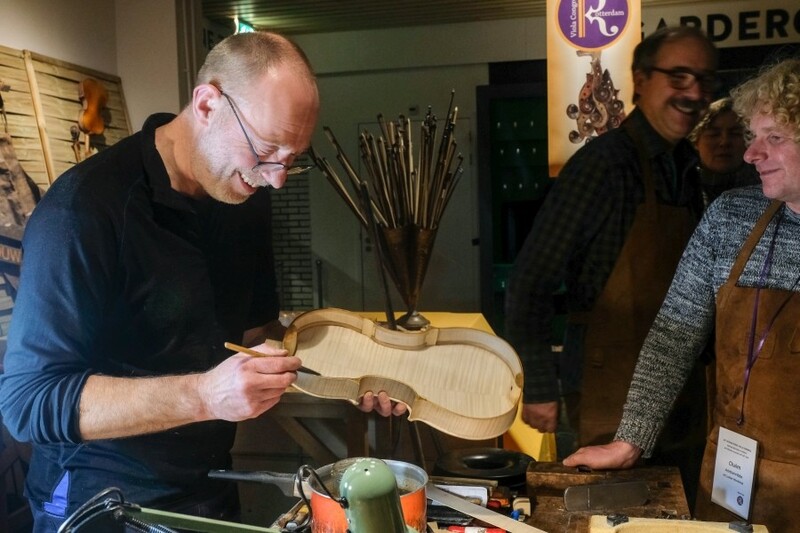 The sound of the instrument was appreciated by the audience and after varnishing the viola will be ready to be played. 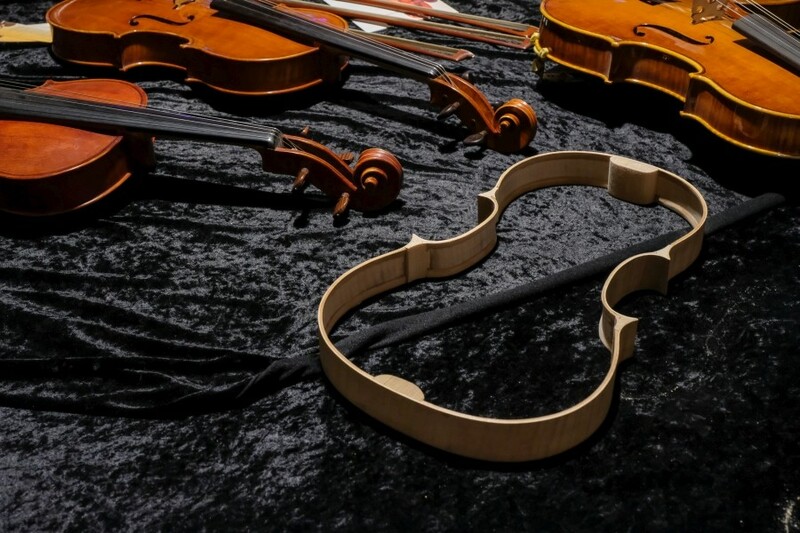 The viola will be a living memory for many years to come and the tangible result of the successful IVC2018! 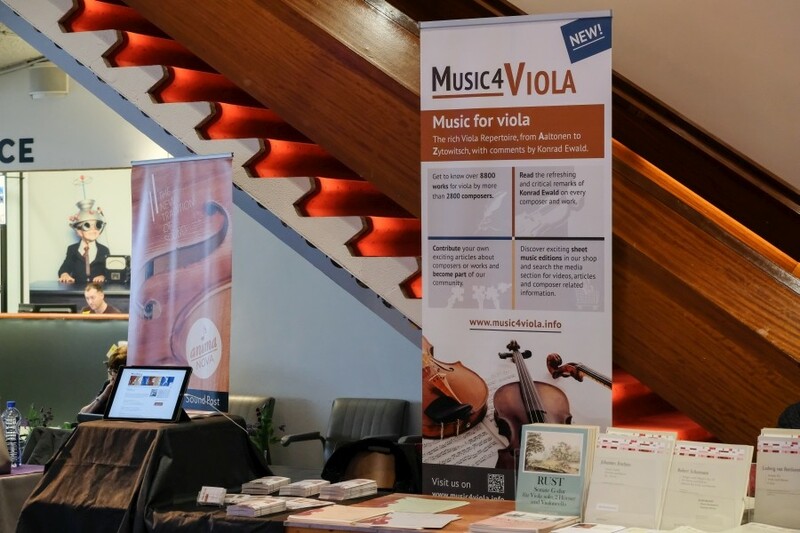 The International Viola Society would like to make the viola available to young, ambitious viola students as a loan instrument. 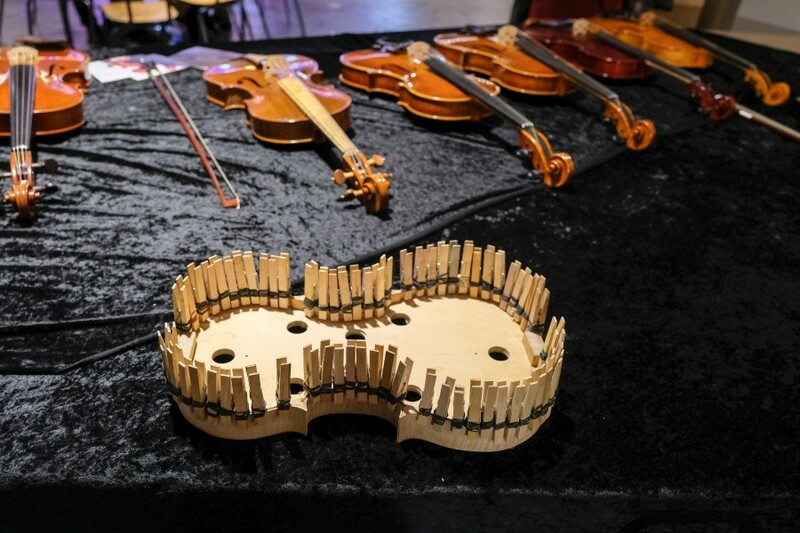 However, this requires a sponsor who purchases the instrument and then makes it available to the students. 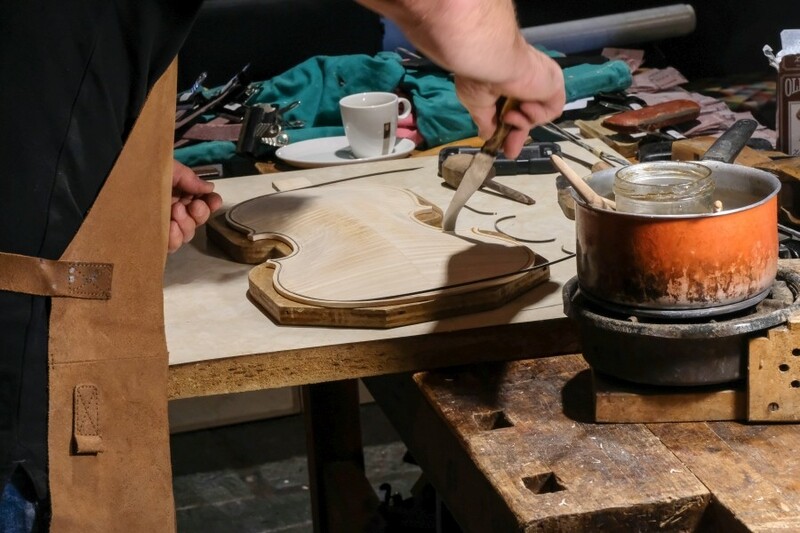 Does any of you know such a sponsor? 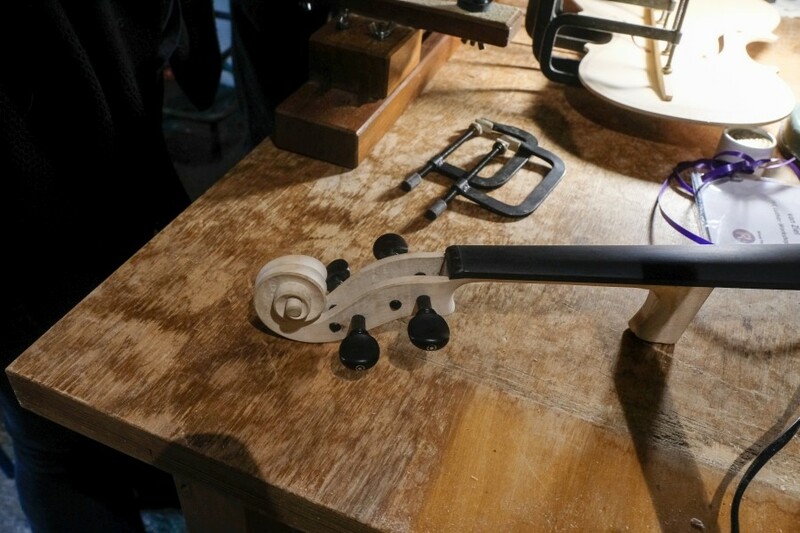 Tina Strinning: Playing and dancing on ergonomically customized violas. 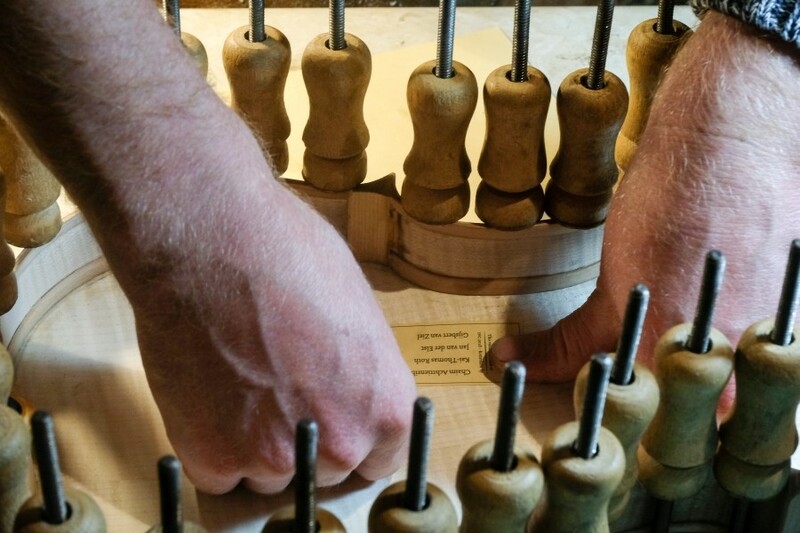 The method is based on movement. 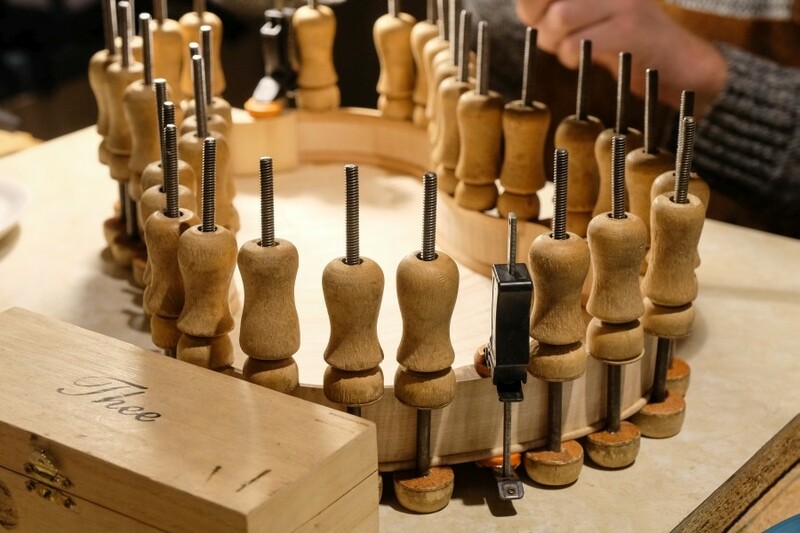 That’s how kids are spared from tenseness. 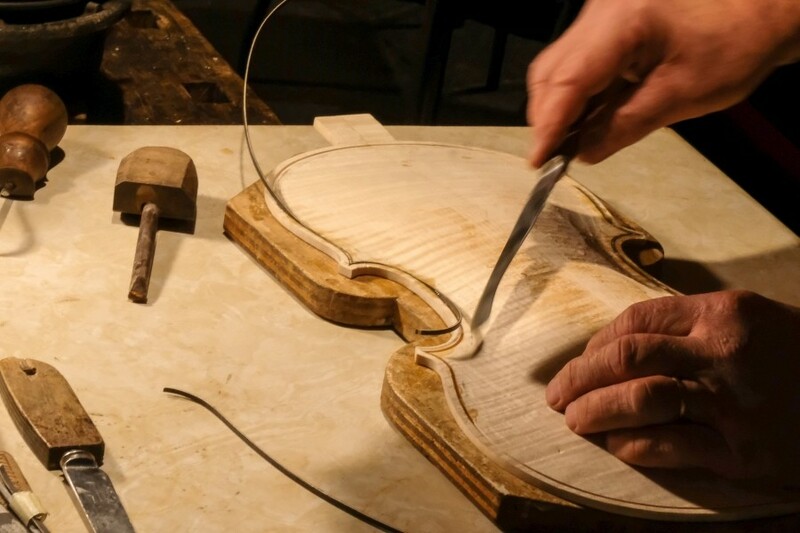 A special method of viola construction further serves this goal. 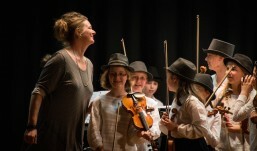 Read about Tina with her children students.